Officials in Louisville, Ky., announced Wednesday that the city’s airport will be renamed after hometown boxing legend, Muhammad Ali. 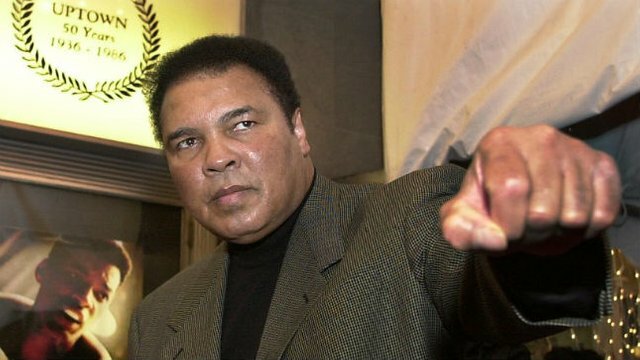 The city says it is hoping to finish the process of renaming the Louisville International Airport to the Louisville Muhammad Ali International Airport by June, when the city hosts its “I Am Ali” festival in the boxer’s honor. “Muhammad Ali belonged to the world, but he only had one hometown, and fortunately, that is our great city of Louisville,” Fischer said. “Muhammad became one of the most well-known people to ever walk the Earth and has left a legacy of humanitarianism and athleticism that has inspired billions of people. Airport officials are currently working on receiving approval from Ali’s family for use of his name, but say an agreement is near. The move is aimed at increasing tourism to the city by way of associating Ali’s name with Louisville. “I think we are 99 percent there with that agreement, so that would really be the second step which we think we can execute in the next week or two,” Dan Mann, executive director of the Louisville Regional Airport Authority, told the Courier-Journal.